"BECAUSE YOU CARED ENOUGH FOR YOURSELF TO GIVE YOURSELF THE BEST YOU COULD AFFORD!" Zradical 1 Bottle 32 oz. Zradical is the only liquid beverage on the market with pure fucoidan using a proprietary cold water vaccum extraction. Zradical supports the immune system, helps joint function, improves healthy cell maintenance. Recommented - For health & wellness maintance drink minimum of 1 Oz per day (2 table spoons) (5O mg of fucoidan) or as directed by your health care specialist. Zradical is the only liquid beverage on the market with pure fucoidan using a proprietary cold water vaccum extraction. Zradical supports the immune system, helps joint function, improves healthy cell maintenance. This pack consists of 4 bottles of Zradical. For health & wellness maintance drink minimum of 1 Oz per day (2 table spoons) (5O mg of fucoidan) or as directed by your health care specialist. For directly addressing a health issue consult with your health specialist. For health and wellness maintenance recommended taking minimum of one capusle every other day (total of 300 mg per week) or consult with your health specialist. Designed to stimulate the thyroid and adrenal glands, enhance immune function and increase energy. This formula stimulates and functionally supports the adrenal gland from damage due to excess caffeine, sugar, stimulant abuse and stress. Drops of Balance is also used to improve mental and physical exhaustion, weakness, and fatigue of all types. Facial Firming Compound 1 oz. This concentrated firming complex supplements the skin-rebuilding process while lifting, firming, and tightening the skin of the face and neck. DMAE & Alpha-Lipoic Acid gently nourish the outer skin cell growth from the inside out. Revitalizing Peptide Serum 1 oz. A triple-action concentrate of non-irritating emollient ingredients and high-tech botanicals work together to produce both an immediate moisturizing effect as well as long-term benefits. 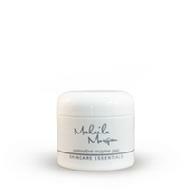 Features Matrixly, the amino peptide that moisturizes & conditions in a skin friendly manner. Restorative Enzyme Peel 2 oz. Rebound FX Citrus Punch is a high-powered alternative to the high-sodium, high carbohydrate sports drinks used by others! Supplying quick sustained energy while offering a balance of antioxidants, natural herbs, and the minerals that must be replenished in order for the body to function at optimal levels! Youngevity�s� Osteo fx Plus� was formulated to support healthy bones and joints, Osteo fx Plus� meets the U.S. daily requirements for people over age 50 with 1,200 mg of calcium, and contains the co-factors necessary to help your body better absorb and retain calcium.